The Life-Tuning Process™ teaches body-based “attunement”–a deep listening and integration with the sacred flow and force of life through the body. It helps you open to life and connect to the spirit of love to heal body & mind. Rejuvenate the body with “Tuned Yoga” & meditation—a meditative, bio-energetic, breath-based, movement practice adapted to your level. Learn from your experience through narrative therapy with reflective writing exercises that use compassionate (non-violent) communication, simple drawing, and collage to develop your “Tuned Stories”. Connect deeply to the heart through meditation. Learn the BE GRACE™ tools for self-care, stress management, and the healing of traumas and challenges for a healthy, nourished body and life. 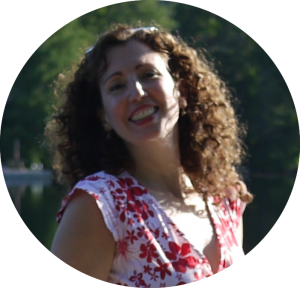 Kim Hershorn, PhD, is a coach, therapist and the creator of the Life-Tuning Process™ which brings together yoga, bio-energetics, sound and narrative therapy. Kim helps people work through their embodied challenges and traumas so they could live fuller, more heartful lives. Kim’s work connects personal, social, and cultural well-being and transformation.